Learning ESL, or English as a second language, involves learning how to speak, read and write English. ESL reading activities are key. Learning to read English documents can be challenging for ESL students because reading involves an understanding of vocabulary words and sentence structures. Here are some activities designed to give ESL learners extra practice in this skill. ESL Wonderland contains reading activities such as timed reading activities. For example, students can click on the "Start" link to begin reading the relevant article. The student can fill in the answers to questions about the article, along with their name and email address, and then submit their answers. The timed activity allows the student ten minutes to read and answer the questions. The remaining time appears in the status bar at the bottom of the window. ESL Galaxy offers printable pdf exercises to teach reading comprehension. The most popular type of these exercises is their text mazes that work like magic in teaching students how to read. Text mazes hide text as in a maze and this encourages the students to read while solving the maze. At the end of the activity, the site has comprehension questions to go with these exercises. CCFS provides stories and readings on a wide variety of subjects for ESL students. "English Around the World" which allows students to read about speaking English in various parts of the world. Primary School contains links to reading games and activities online. EFL/ESL Lessons and Lesson Plans offers teaching ideas for reading activities as well as links to readings and stories online. At EL Civics each worksheet includes a short paragraph about an everyday problem a character can face, a true-false exercise, a writing prompt, and a black and white image. These reading activities are presented in pdf format and you should be able to download them quickly. 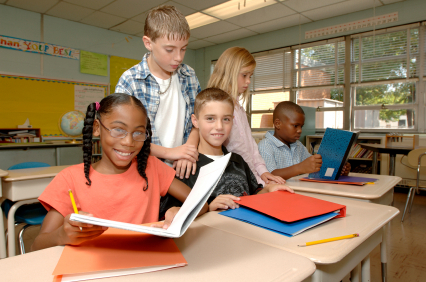 Teachers can read the stories to the class before assigning them the writing exercises to test their comprehension. Examples of short stories include Father's Day Gift, Fireman, Flag of the United States, the Grand Canyon, and Household Chores. A4ESL has ESL/EFL teaching resources contains links to reading comprehension activities and games. The links on the site have over 1000 activities to help ESL students do self-study. The website also has quizzes and stories for reading. At American Folklore you can practice reading English with their ESL short stories from American folklore, retold by S.E. Schlosser. Some short stories have an ESL listening component. English English.com provides links to some of the best English quizzes, tests, exercises and puzzles to help you improve your reading skills. Activities and quizzes range in difficulty from elementary up to advanced and contain a variety of activities. Some also contain audio versions of the story for you to listen to. World English contains links to reading exercises and quizzes. At ESL Monkeys, you can learn English by using and reading news articles, finding a wide range of reading material for almost any purpose. Activities are designed to build reading comprehension, as well as to be vocabulary builders, and conversation starters. Teach English in Asia provides ESL games to practice reading skills. "ESL Reading Activities." YourDictionary, n.d. Web. 21 April 2019. <https://esl.yourdictionary.com/lesson-plans/esl-reading-activities.html>.